MC Conditioner - All Things Hip Hop! : Vado and A$AP Rocky: Putting New York Back On The Map? Vado and A$AP Rocky: Putting New York Back On The Map? Though it is an obvious cause for celebration that hip hop now has a range of diverse talent, it is an alarming state of affairs that the self proclaimed birthplace of rap has no obvious standard bearers to carry forward the new generation. The new mixtape has received a largely positive response, the rapper branching out into non-Dipset features with Fabolous on 'Ok Y'all' and Raekwon on 'Bed Piss'. The journey to success is by no means over for the Harlem born MC, but his progress is being watched closely in New York rap circles. Hailing from the same area of New York, overnight success A$AP Rocky was recently the subject of a rumoured $3 million deal with Sony/RCA. As he explained to Billboard Magazine: "I don't have a $3 million dollar balance in my account but the record deal was $3 million though. I got a deal with RCA/Polo Grounds for A$AP Worldwide and I got a deal with them for my solo project, my solo deal; if you combine both deals it amounts to a three million dollar deal." 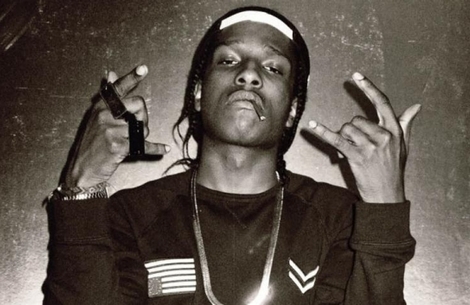 The A$AP Worldwide group referred to concerns the ASAP (Always Strive And Prosper) crew the rapper is currently a member of. Comprising of rappers, producers and designers such as ASAP Dee Ferg, ASAP Ty, ASAP Nast, and ASAP Twelvyy. The movement is similar to Odd Future in that the charismatic front man opens doors for the rest of the team. Youtube hits 'Peso' and 'Purple Swag' showcase why the rapper has garnered so much attention for his mixtape Live.Love.ASAP. Contrary to the traditional New York hip hop, the collection of tracks is much more Southern oriented in terms of sound. The beats are dripping, promethazine laced and bass heavy while the lyrics use simple, spaced out rhyme schemes much closer to the Dirty South template. In addition to success with his new label, the rapper has been nominated for the BBC's Sound of 2012 poll, demonstrating how he is also receiving attention from across the pond. 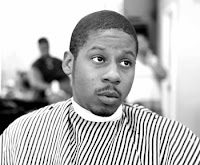 It remains to be seen if Vado and A$AP have the staying power to become fixtures in the legendary New York rap lexicon. 2012 is a huge year for both.